Facebook(FB) has probably changed our lives – Who would disagree to this statement? Even the most loner kind of a person finds himself swarmed with hundreds of friends. Conceptually, FB was supposed to be a social networking site, and it still is one but businesses are increasingly looking at FB to provide them with a launch pad for a lot of their products. Why not – FB allows businesses to promote their products directly to their prospective customers, isn’t it? That said, there is a long way to go before you optimize your business for FB and start using FB constructively for your business. Separate your personal account from your business account. Your business account in FB should only have your target customers and no one else. Offer something for free – It could be anything, a newsletter, a whitepaper or something of that sorts. People would read information available for free. Setup a brand identity for your business account. This means you should work on your business description, logo, and all of that. Who said using FB for your business is a child’s play? Now, invite people to join your business group. A good place to start would be to have couple of your friends who are interested in your products. Enclose your FB profile link in your email signatures. This way your clients would know your business is on FB. And hey – It also helps in Viral marketing, doesn’t it? Did I forget – From time to time, you should keep offering something or the other for free. This allows the interest in your group members to be sustained, when they know that they would get a free offering. Don’t do this too often else you would lose the value of your product. Last but not the least – Keep revisiting your contacts. Keep adding new contacts and delete the ones who you think don’t really participate or the ones who don’t really enquire about your product. 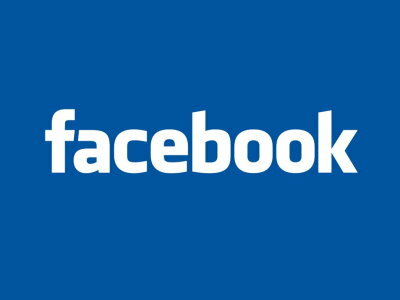 Eventually, you would want to make FB a profit making entity for your business and towards that any decision you take, is welcome. One thing is clear – FB can definitely be used to boost the sales for your business, provided some care and diligence is exercised in building your business on FB. It may sound and look lucrative, but one mistake could also prove costly. It doesn’t take long for your business identity to lose its credibility on the Internet (At least, some businesses have definitely discovered this by now). But, if you can follow these 7 simple tips, it is my guarantee you would be able to generate more leads for your business. It would only be matter of days that you see the sales of your business increasing. If this is so lucrative, what’s stopping you from taking on to FB networking? After all, it is not a place where you could only make friends, but also make some moolah too!